Hope, want and would like belong into the group of verbs which are followed by the infinitive. If you click the link above you can see a complete solution for these verbs for intermediate learners of English. 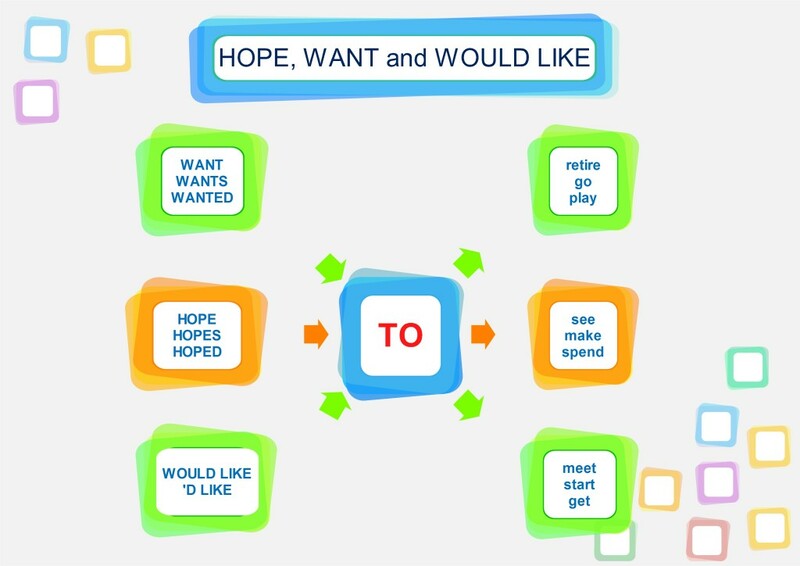 In this post we would like to teach how to use only the three verbs HOPE, WANT and WOULD LIKE so it is suitable for elementary learners of English. We are not going to explain the differences in meaning as these are very small and the best way about them is by consulting a bilingual dictionary. In this post we would like to deal with the grammar of these three verbs (they are followed by the infinitive with TO). There are two games, a mind map and a worksheet to practise or learn the given grammar point. If you are a teacher, you can ask your students to use the mind map above and make as many sentences as they are capable of. Of course, they will have to add some words to start and finish the sentences. 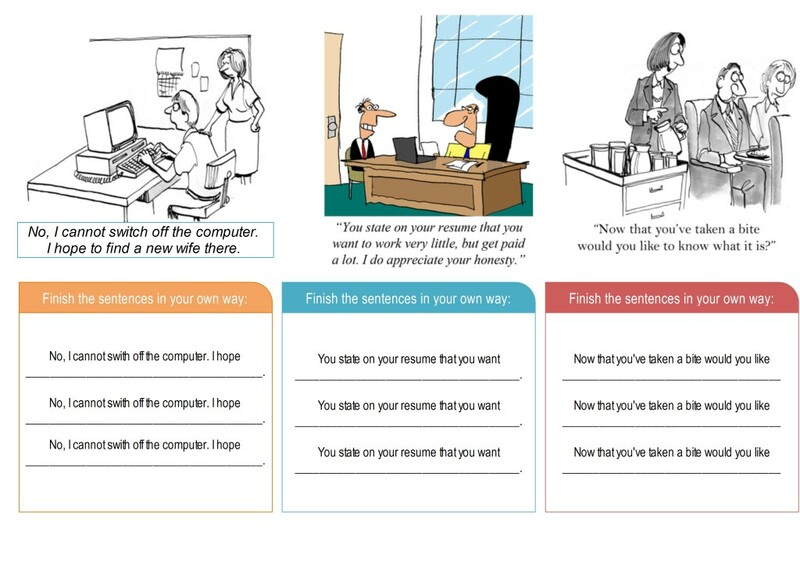 The second graphic features three jokes which contain the target structures and then the students should write their own jokes using the structures given. The second game is called Tic-Tac-Toe. Your task is to drag the words into the correct places and then win the game. Place the crosses into such places to have three in a row. There is just one way to win the game. Can you find it? What programme do you mean? How do i teach mind map for esl students? Explain the mind map you have created and then give the students a clean mind map and ask them to create their own. Thank for replying!!! Are there any videos example for teaching mind map. I am not a great fan of indirect grammar teaching. I think that there must come the time when you have to teach directly even if only to clarify some things in students mind.